Are past successful skills and leadership strategies insufficient to master the obstacles businesses currently face? My guest Maureen Metcalf says that key executives must continually evolve to manage increasingly complex and volatile conditions—yet they rarely do. Are your key executives ill-equipped to navigate the escalating rate of change your organization faces? 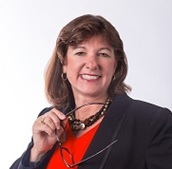 During this show I will be interviewing Maureen Metcalf, Founder, CEO, and Board Chair of Metcalf & Associates who is a highly sought-after expert in anticipating and leveraging future business trends to transform organizations. She has captured her thirty years of experience and success in an award-winning series of books which are used by public, private and academic organizations to align company-wide strategy, systems and culture with innovative leadership techniques. Join us to find out how to evolve your skills to today’s conditions. Ms. Metcalf – Founder, CEO, and Board Chair of Metcalf & Associates is a highly sought-after expert in anticipating and leveraging future business trends to transform organizations. She has captured her thirty years of experience and success in an award-winning series of books which are used by public, private and academic organizations to align company-wide strategy, systems and culture with innovative leadership techniques. For years, she has been willing to share her hard-won insights – through conference speaking opportunities, industry publications, radio talk-shows, and video presentations.